We can send a person to the moon, but still struggle to humanize corporate brands. NASA has successfully done both. As BuzzFeed reports, a seven-and-a-half year-old aspiring astronaut named Dexter, submitted his cover letter and curriculum vitae visualized in a crayon infographic. NASA responded by granting the youngster his first flush letter, and a bunch of other cool space stickers and photos. Sometimes, it’s just that simple. Dexter’s mom posted an image of the letter to Reddit yesterday, and it has over 200,000 views, plus coverage in The Huffington Post, Fast Company, and Abilene Public Radio. I know this takes a little time and effort for a corporate communications or social media team to respond, but sometimes doing the right thing, albiet simple, can have a huge impact on a brand’s public image. For B2B brands, a good part of the social media budget and objective should be geared toward these type of engagements. It’s a much more efficient use of resources than over-analyzing ROI. Not all brands can offer a potential future trip to outer space, but a simple reply creates a connection, which could lead to a deeper relationship. I remember being impressed when Nordstrom noticed my tweet. 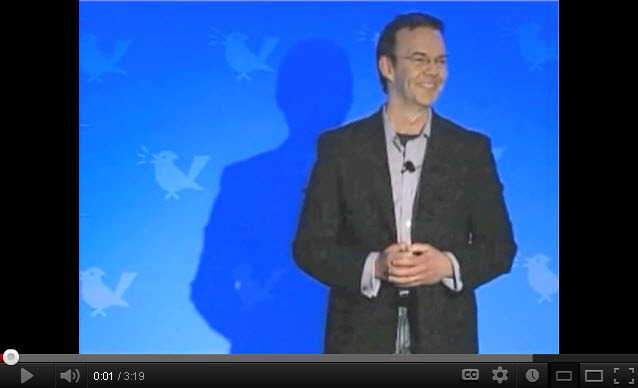 @timwasher Thank you for sharing the link to that video, Tim! I wasn’t quite as moved as when I received an auto-pen handwritten reply after writing my U.S. President when I was Dexter’s age, but a department store is no match for the charisma of William Taft.